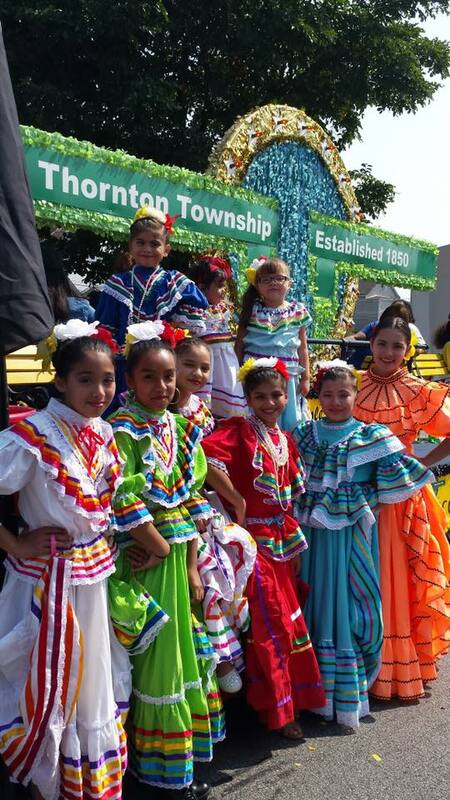 Thornton Township celebrated its 13th Annual Hispanic Heritage Month with native music, food and speakers talking about the importance of fostering and educating people about the Latino culture. 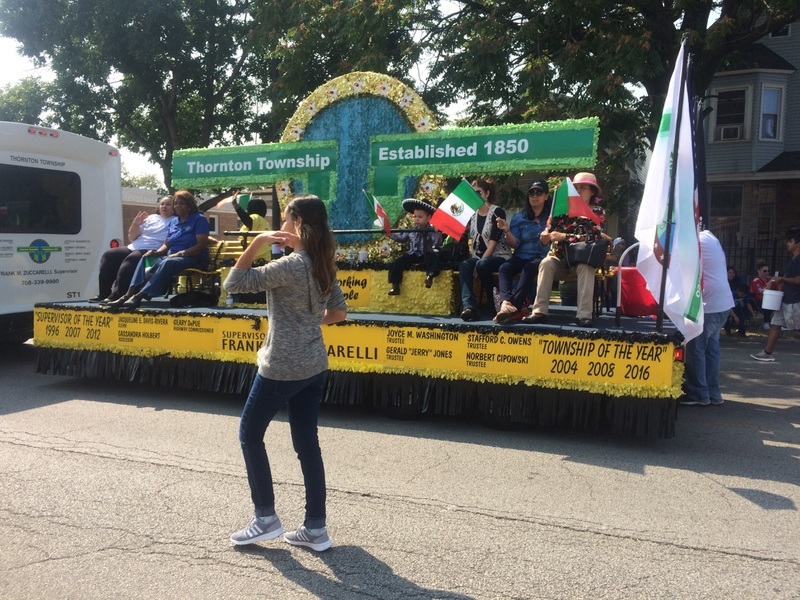 Entertainers included the Thornton Township Mexican Folklore Dancers, Magician Ken Mate, and the Holy Cross Immaculate Heart of Mary Marimba Ensemble. throughout the year,” said Frank M. Zuccarelli, Thornton Township supervisor. The event took place at the township, 333 E. 162nd St. in South Holland. The honoree was Dr. Richard Rucoba. A World War II veteran in the Marine Corp., he treated the wounded and cared for sick Marines. After the war, Dr. Rucoba studied and graduated from Illinois College of Optometry. But understanding that life is more than just your career, he always believed in volunteering his time. He tutored high school students in math, English and other classes and joined the Lions Club which focuses on helping the visually and hearing impaired. He has been a Lions member for 55 years, where he went on various Eye Glass Missions to Mexico to examine the poor and prescribe glasses without charge. During one of his 15 Eye Glass mission trips, he drove an hour north of Mexico City and examined 6,280 people in one week. “Richard gives you so much inspiration and good advice about making sure you live a worthwhile and involved life. He is an example to all of us,” said Oscar Canales, who helped coordinate the event. In addition, because Rucoba believes in staying in shape, he turned his passion of running into the art of dominating the Senior Olympics. He has a wall full of medals and that includes the national games this year where he competed in four events bringing home three gold medals and one silver. He is an incredible man with an incredible story. “I was amazed at the number of people who wanted to bring about peace and innovation and start to know each other,” said Joyce Washington, Thornton Township trustee. Grand Marshal Melissa Perez, Producer at WCIU (The U) Television Station waved to the crowd as they marched down the parade route. Vargas, President of the organization said, “The parade was well attended and had lots of volunteers.” She also said, “She liked to thank State Senator Donne Trotter (IL 17th Senatorial District), State Representative Marcus C. Evans Jr. (IL 33rd Representative District), Congresswoman Robin Kelly (IL 2nd Congressional District), and several aldermen for their support.” According to Vargas, State Senator Trotter handed out candy to the children along the parade route. The parade was on Sunday, September 10, 2017, some of the outstanding members of the Mexican Patriotic Club are honorary members Martin R. Castro, former U. S. Commission on Civil Rights; John Garcia WLS-TV; Stacy Baca WLS-TV; Judge David Cerda; Emma Lozano; Laura Cruz; Dr. Juan Andrade; and former Chicago Police Superintendent Matt Rodriguez. National Hispanic Heritage Month is from September 15th through October 15th of each year recognizing the contributions made and the important presence of Hispanic and Latino Americans to the United States by celebrating their heritage and culture. This is the anniversary of independence for 5 countries: Costa Rica, El Salvador, Guatemala, Honduras, and Nicaragua. Mexico’s Independence Day is September 16th, Chile’s Independence Day is September 18th. October 12th is “El Dia de la Raza” or “The Day of the Race” a day celebrating the many nationalities present in the history of Mexico, Central America, and South America including Native Americans such as the Mayas, Aztecs and Incas; and European nationalities such as Spanish, Portuguese, and French. 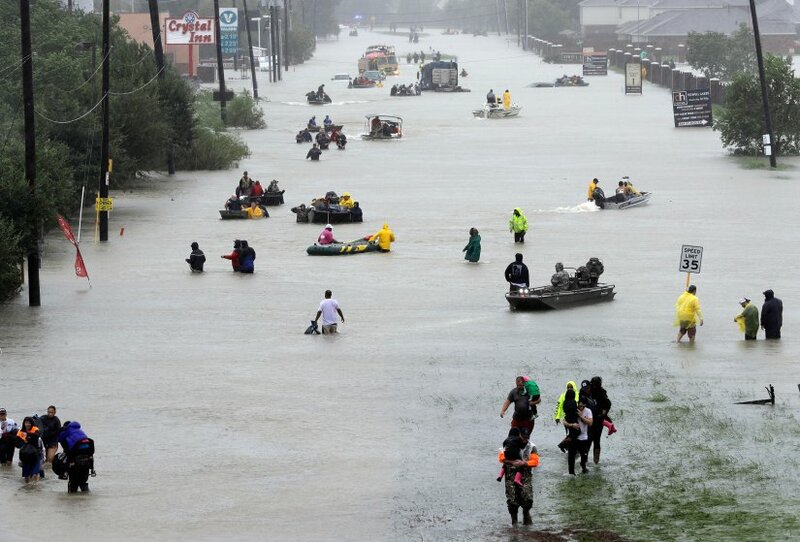 Hurricane Harvey caused unprecedented and catastrophic flooding in southeastern Texas. In a four-day period, many areas received more than 40 inches of rain as the system went over eastern Texas and adjacent waters. Harvey is the wettest tropical cyclone on record in the United States. The resulting floods inundated hundreds of thousands of homes, displaced more than 30,000 people, and prompted more than 13,000 rescues. Thornton Township is working with various other organizations to provide supplies in the wake of Hurricane Harvey. There are five drop off locations for these items.